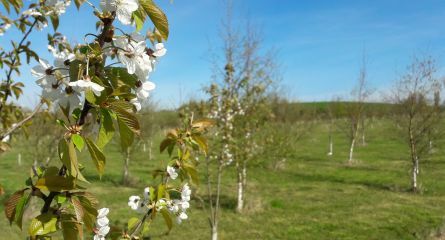 Hollygate Memorial Woodlands is a natural burial site on the edge of Cotgrave, managed by Mr. A. M. Buckingham Independent Funeral Services. Most of us, at some stage in our lives, have to cope with the death of a loved one. The choice of final resting place can be an important decision. 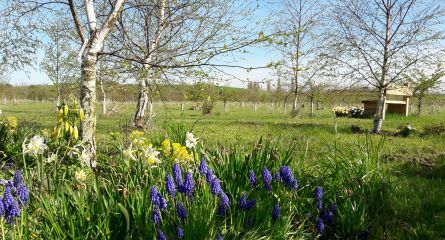 Natural burial grounds are cemeteries managed along ecologically sound principles to create informal, nature-rich sites full of wildlife and flowers. Our natural burial site does not have traditional headstones, but instead, graves can be planted with a tree to create a natural memorial. After the burial we will manage the plot and burial ground to create a natural environment which will enrich the area in many ways. Although no headstones are allowed, there are many ways in which we can remember our loved ones in addition to planted trees. Small plaques can be fixed onto a small post in the ground, ready to be moved onto the tree itself when it matures. Bird nesting boxes and bat roosting boxes are also available.